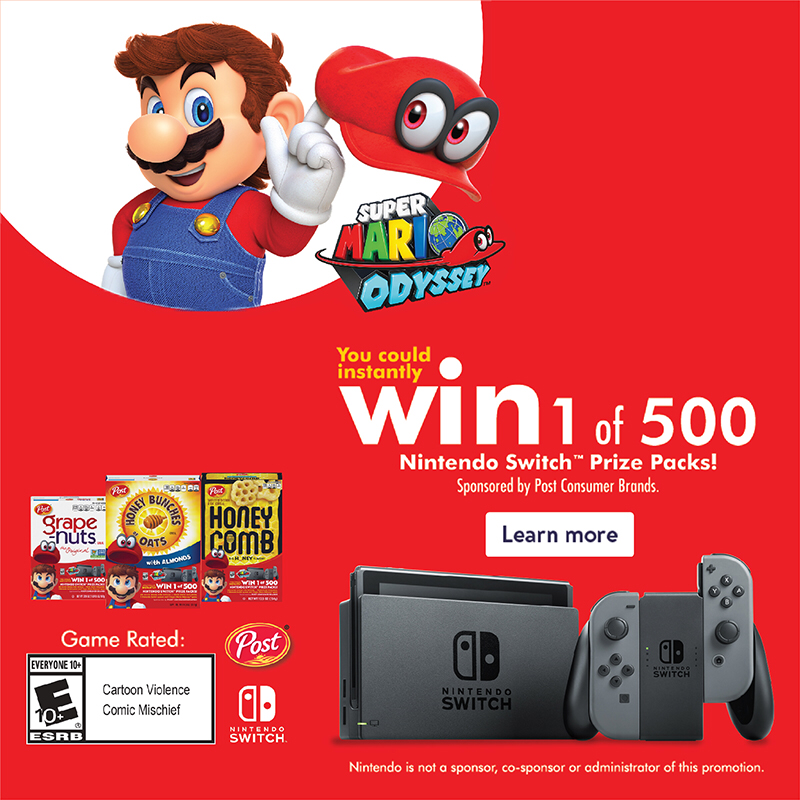 Win 1 of 500 Nintendo Switch Prize Packs! My kiddos and I love Post and Malt-O-Meal cereals! And who would not want to win one of those awesome prize packs! What a great giveaway!! I know my kids are begging for one of these for Christmas! This is a pretty sweet giveaway! I bet this is on everyone's Christmas wish list. It would be awesome to play some Switch games with my family. I'd be super excited to get a winning cereal box code! I would love to win a Nintendo Switch package then save it for a Christmas gift. Such a cool sweepstakes! I'm not sure who would be more excited--my husband or my kids. We have been so eager to get a Nintendo Switch. What a fun opportunity! The Nintendo Switch is going to continue to be a hot ticket item this holiday season. Great giveaway! I remember our old Nintendo system when they first came out! My boys would love a Nintendo Switch! It looks like it would be so much fun to play.